I don’t know about you, but my hair has been so dry this winter! Winter go away, spring come out and play! LOL! No but really it seems like my hair and my ends have been so dry and yucky. I am on my healthy hair journey, so I am always looking for ways to help moisturize my dry hair. I recently did the porosity test and determined that my hair is low porosity, meaning that my hair is hesitant to opening up for water and moisture. Most of the time when I apply products they just sit on top of my hair. My hair doesn’t readily absorb products, and keep moisture. I recently got back to my old ways and did the old trusty baggy method. I used to do this method all the time when I first went natural and I don’t know why I have been neglecting it lately. 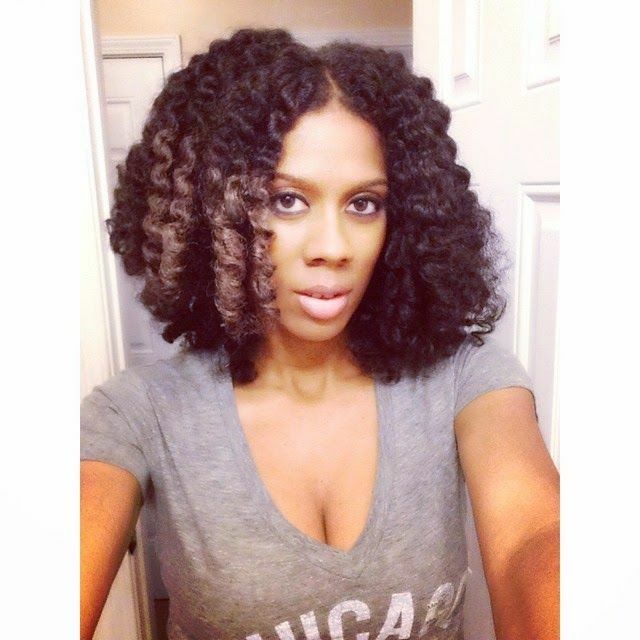 The baggy method is a method that is similar to deep conditioning because it traps in moisture. To do this method you will need to apply a water based moisturizer to your hair. If you have low porosity hair like me you should definitely use a water based product. Meaning that water is the first ingredient in the product. After applying the moisturizer to your hair, cover your hair with a plastic cap for 20-30 minutes. This method is called “baggying” because it helps to capture moisture. You can do this method two ways: to your entire head, or just on your ends only (baggying just the ponytail after your hair as been gathered). After you remove the plastic cap apply your favorite oil to seal in the moisture. I like to use grape seed oil or almond oil. These oils are not very heavy and just right for my hair. This method leaves me with soft moisturized hair every time! Do you use the baggy method?